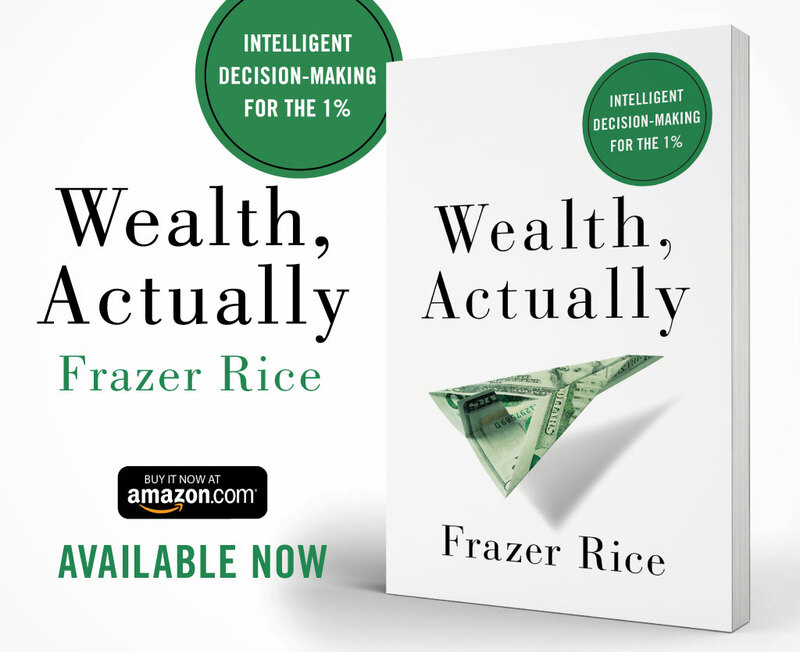 On August 7th, 2018, Frazer released his first book Wealth, Actually through Lioncrest Press. In Wealth, Actually, Frazer shares his approach to wealth management. Through a combination of philosophical discussion, practical advice, humor, and anecdotes, he shows how prosperous individuals can determine what they want their wealth to do; communicate with loved ones about their fortune; avoid overspending; handle wealth threats; evaluate, grow, and protect investments; and choose the best advisors. It can be purchased at WWW.WEALTHACTUALLY.COM.